Mankind likes to change the world around him. He has altered the course of rivers, built islands, planted artificial forests and dried out wetlands. But nowhere is the impact of humanity more apparent than in our urban centres – the sprawling, dense, heavily engineered towns and cities where we group ourselves together. And while the environmental effects of developments like dam building or deforestation are fairly obvious, the effect that urban development has on the environment and climate is not as well documented, especially in arid and desert climates like ours. A project at the Earth Observation and Environmental Remote Sensing Laboratory at the Masdar Institute has, for the first time, begun mapping the climate of parts of Abu Dhabi to see how various types of developments affect its microclimates. We are exploring the urban heat-island effect – the tendency of metropolitan areas to be significantly warmer than surrounding rural areas. In cities in the West, downtown areas have been found to be 5°C to 10°C higher than the outskirts of a city. That difference can carry considerable cooling costs. Looking at 25 years of Nasa satellite data on Abu Dhabi, we have found some surprising results. Our initial research suggests the microclimate trends seen in the West – hotter downtown areas and cooler suburban areas – are reversed in Abu Dhabi, where the suburbs were warmer than the city centre. This turns the conventional understanding of urban microclimate on its head. The causes are several. The moisture in vegetation reduces surface air temperature, while wind-conscious layout of buildings can create “urban canyons” that channel the wind and reduce the “feels-like” temperature. The presence of tall buildings also increases the total shaded areas from direct solar radiation, which also contribute in reducing downtown temperatures. Additionally, certain building materials, like marble and stone, are more reflective than others like red brick and asphalt, meaning they trap less heat. These factors combine to reduce the inner-city temperature by about 4°C to 6°C. By the same token, Abu Dhabi’s suburban areas tend to have less vegetation and low-rise buildings. They often have wider roads, and therefore more heat-trapping asphalt. All of these combine to raise the temperature. Of all the areas we assessed, the coolest were mangrove forests, which had average summer temperatures 5°C cooler than that of the built-up areas. 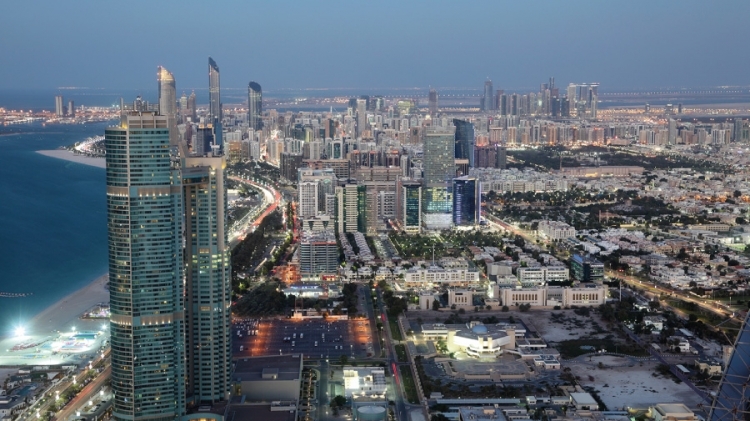 The obtained results have shown that the close presence of mangroves to urban areas contributes to the reduced overall temperature in downtown Abu Dhabi. This further strengthens the value and importance of mangroves, which also are the nurseries for fish and a haven for migrating birds. Appreciating the roles that construction, landscaping, road networks, and urban planning can play in a neighbourhood’s microclimate should help Abu Dhabi make its future development more energy efficient and climate savvy. The study, which will run for another one year, can feed into guidelines for urban planning, legislation for construction material, and strengthen the case for more green areas. Future urban developments made with these parameters in mind could bring significant energy savings by cutting the need to cool buildings. That alone could cut the city’s electricity use by 5 to 10 per cent – saving a huge amount of money, not to mention reducing its ecological footprint. Projects like this one are a first step towards local climate-specific improved urban planning, and we are glad to be a part of that.